Click on the Help button and ask your question now. Yes is not always an easy thing to say but at CraneWerks our staff is prepared to say yes to nearly any overhead crane or material handling request. Our years of experience puts us in a position to provided yes answers to our dealer partners so they may be in a position to take on even the most difficult challenges. Your questions can come to us 24/7 and we will give them immediate attention. 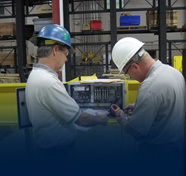 Whether the need is for a small part or a large and intricate industrial crane system, or simply how to adjust a brake on a hoist, our daily goal is to say yes to your needs. PS. Specialties are our specialty. For example; one of our design team was called upon to quote replacing a huge underhung box girder crane with a modern overhead traveling crane. He was asked to quote installing new bridge support columns and foundations along with a new top running bridge crane. 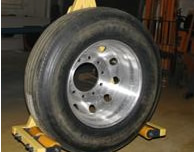 After evaluating the existing system a special C-hanger was designed to allow top running runways to be supported from the original underhung suspension points. With this design expensive columns and foundations were not required, utilities such as electrical conduit, air and gas lines did not have to be relocated and the job could be completed much faster minimizing production downtime. Even the runways could be reused. This unique solution saved the customer over $900,000.00 plus the profits gained by limiting production downtime. Check out our special applications or below hook devices for just a few items CraneWerks has said yes to. Each industrial crane and material handling problem is unique. Let CraneWerks suggest a solution for yours. Contact CraneWerks at 888-544-2121 or contact us today.